I know. Valentine’s Day is this Thursday and I’m just now posting about it. I actually made these last week and wanted to post these early but life got in the way and we had a super busy weekend. Oh well. If you are still looking for Valentine’s idea, here is what I am doing for my girls this year. Nathan bought me a Silhouette Cameo for Christmas and I’ve been playing around with it. I love how cool it is and all the things I can do with it. So this year I decided to use my Silhouette and cut out some love bears. 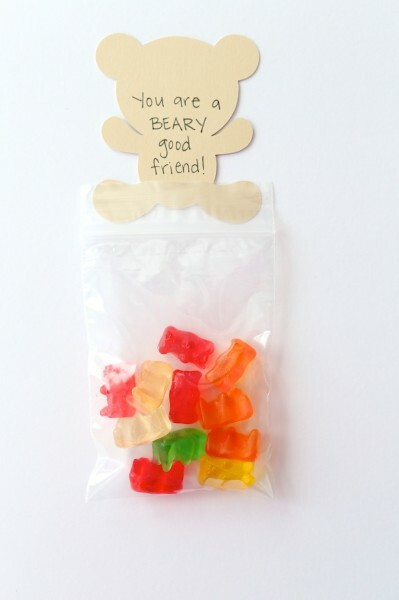 Then on the back of the bears I just wrote, “You are a BEARY good friend!” I had the girls write their friends’ names at the top and their names on the bottom. 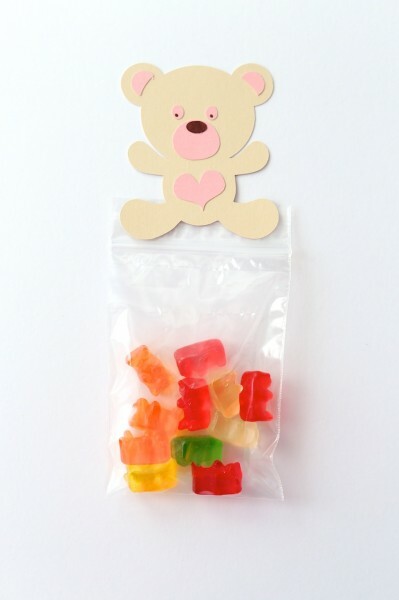 I filled little zip bags with gummy bears. Simple and easy to do. 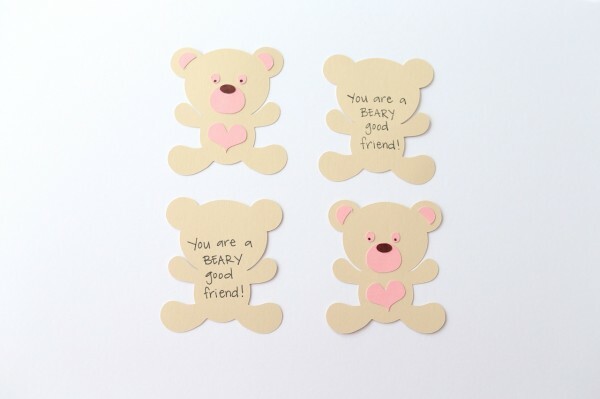 If you want to do something similar, you can grab an image of a bear or cut out your own bear pattern and do the same. Or there is also the Valentine’s I did last year with bubbles that is a free printable here – Bubbles Valentine’s Day Card Printable. » Tell me… Are you all set for Valentine’s Day?